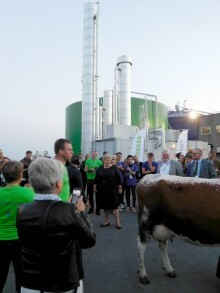 Malmberg Biogas has won its fifth biogas upgrade project in Norway. Now to Ecogas, a daughter company to Ecopro. 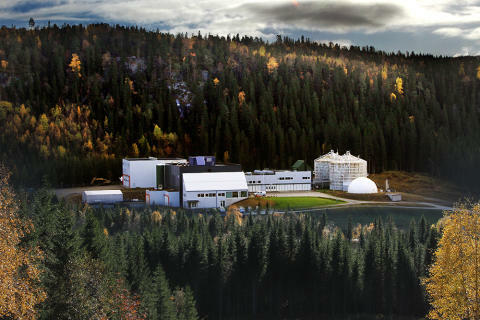 The biogas plant is situated in Verdal, about 80 km north of Trondheim. There will be a Malmberg COMPACT® GR 14R with a capacity of 1000 Nm3/h including a filling gas station. Everything will be ready by the end of the year. 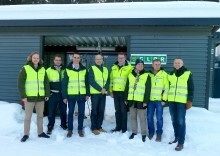 Ecopro has a nice facility in Mid-Norway that solves the food waste problem by handling 40.000 tonnes of food waste per year from 52 municipalities. The upgraded gas will drive biogas buses in Trondheim. The rest product from the digestion goes to agriculture as bio fertilizer. A fantastic example of modern circular economy, with all winners including our environment. 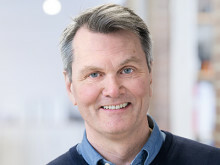 As one of the first facilities in Norway of its kind, Ecopro was established in 2008. Sorting at source, energy-/ material recycling and environmental thinking were fundamental components of the establishment. Ecopro is owned by Inter municipal companies Mid-Norway, which collaborate on treating approximately 40.000 tonnes/year of source-sorted food waste and sludge in a future-directed and environmentally sound manner.